The Income Tax Department on January 11 said it had attached more than 900 benami properties, including flats, shops, jewellery and vehicles, worth over Rs 3,500 crore. 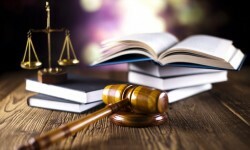 The department said in a statement that it had stepped up action under the Prohibition of Benami Property Transactions Act, which came into force from November 1, 2016. The Act provides for provisional attachment and subsequent confiscation of benami properties, movable as well as immovable. The department had set up 24 dedicated Benami Prohibition Units under its investigation directorates all over India in May last year to ensure swift action against such properties. The Maharashtra government has issued a notification, announcing proposed amendments to the Development Control Rule 32 for Greater Mumbai. The amendments seek to grant additional, optional 0.50 Floor Space Index (FSI) over the basic 1.33 FSI for buildings fronting on roads with a width of minimum nine metre and above in the Island City area of the megapolis. The purpose of the proposed amendments is to raise revenue by charging a premium. The Supreme Court on January 10 upheld the Kerala High Court (HC) order, imposing a fine of Rs 1 crore on real estate major DLF for constructing around 180 luxury flats along the banks of eco-sensitive Chilavannur backwaters near Kochi in Kerala. A SC, however, set aside the findings of the HC on the legality of the structures built by the real estate firm.Initially, a single-judge Bench of the HC found irregularities and violation of various norms, required to be adhered for construction in Coastal Regulation Zone, and ordered demolition of the construction. Global real estate brand Trump Towers will make its debut in North India through real estate companies M3M India and Tribeca Developers, which launched a luxury residential project on January 10 in Gurgaon, entailing investments of Rs 1,200 crore. M3M and Tribeca will develop 250 ultra-luxury residences under a brand licence from The Trump Organisation, which is currently led by Donald Trump Junior, son of US President Donald Trump. In the first phase of sale, the apartments which will have three and four bedroom options, will be sold in a price range of Rs 5 crore to Rs 10 crore. The size of the flats is from 3,500 sqft to 6,000 sqft. This is the fourth Trump Tower project in India after Pune, Mumbai and Kolkata. 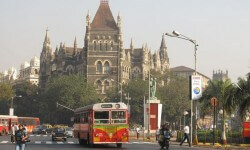 Will Greater Mumbai Draft Development Plan 2034 Improve Mumbai's Real Estate Market? Can Extra Man-Hours Speed Up Project Deliveries?